Minotaur beetle. Female minotaur beetle (Typhaeus typhoeus) on sandy ground. 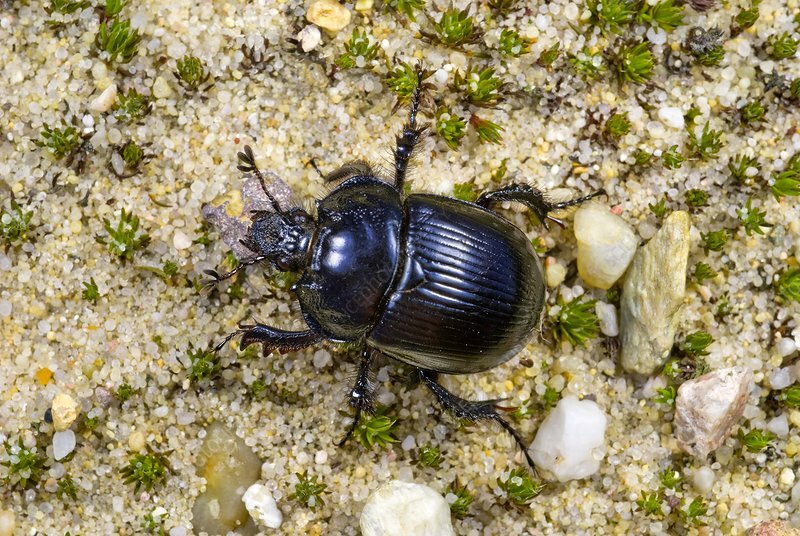 This earth-boring dung beetle (family Geotrupidae) feeds on the droppings of herbivorous animals and is found throughout Europe. Photographed in Przemkow Landscape Park, Poland.